The day—15 November 2018, Thursday. 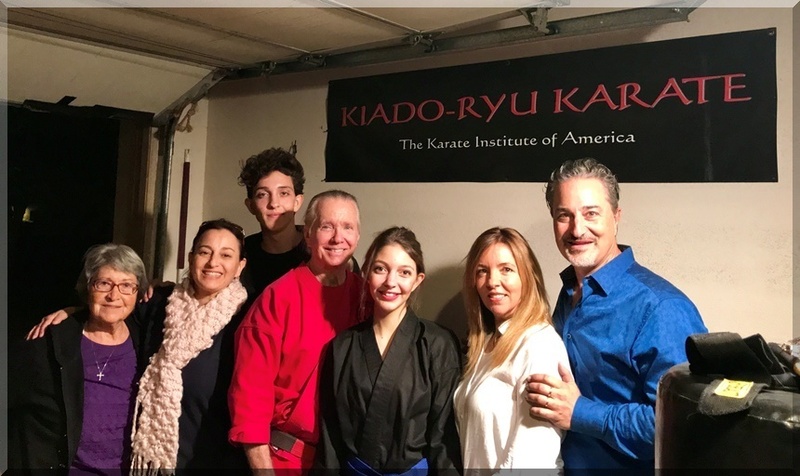 It was a Blue Belt milestone for Hannah Shamassian and the Karate Institute of America as this lovely young lady moved up another rung on the Kiado-Ryu ladder of accomplishment. Hannah is a paradox. She’s very quiet during her lessons, using few words to communicate with Mr. King. But when she does her bag work, look out! Her power is off the charts for her size, as her brother, Josh, understands full well. To call Hannah a powerhouse is an understatement. And when she fights, if you take your eyes off her for a split second you will, underscore “will,” be hit and hit hard. Hannah never loses her concentration when fighting, never. Her eyes and focus are scope-locked on her target, and her ability to deceive her opponent before landing a rib-racking blow is one of her best fighting skills. 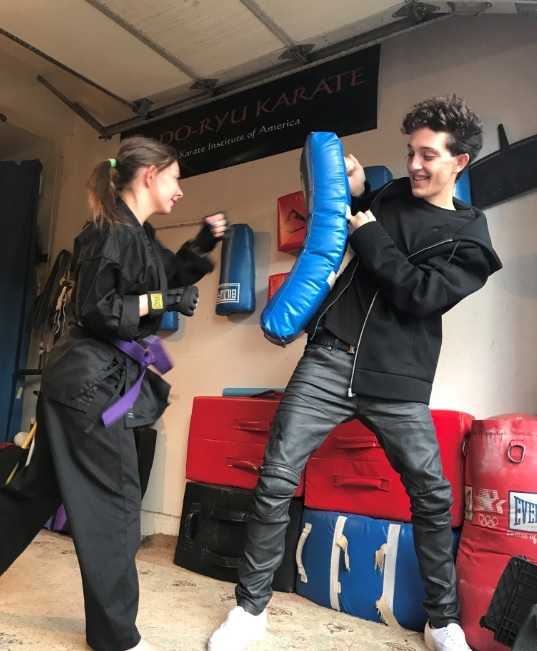 From day one of her martial arts training, Hannah has never looked away. She is relentless, aggressive, tough, smart and determined. Another wonderful trait Hannah possesses is that she never complains. She works hard and always does her best. And physically strong? The kid is one solid muscle from head to toe. Slight in build, yes; weak, no, No, NO! Hannah is blessed to have a wonderfully supportive family. They are one of the most gracious, loving, intelligent, creative group of people one could ever know. Not only is Hannah a lucky soul, but so is the KIA! Hannah has been a delightful joy as a student. 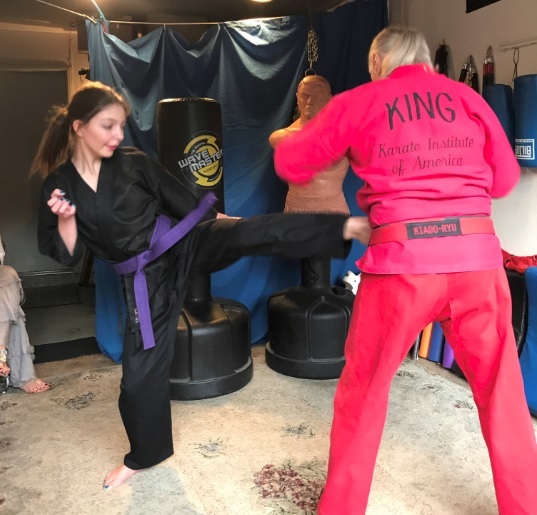 We look forward to celebrating further milestones with her as she continues her martial arts studies at the Karate Institute of America. Way to go, Hannah! Keep up the awesome work!